A WordPress theme for Portfolio and Personal Websites. Gon is the best WordPress Theme for e-commerce websites. It helps to give professional look to your website and make it more appealing for the visitors. It gives freedom to the users to customize the site as per the requirements and to give a new look and feel to them. This theme is bundled with many unique features that allows you to create various business sites. It is well tested and works well with all the available browsers. Offers integration with different Social medias such as Twitter, Flickr and Facebook. This theme is fully responsive and looks great with all the devices. This theme is compatible with WPML and WooCommerce plugin that helps to display the product in designed Product Page layout. Allows to create different forms for the website through Contact Form 7. It also allows to build the forums and also manage theme as it is compatible with bbPress plugin. One can also create One page or Parallax scrolling website. Provides with a very clean code and easy to install it with a single click. Provides with some elegant and unique Home layout from which the choice can be made. I liked everything in this theme. 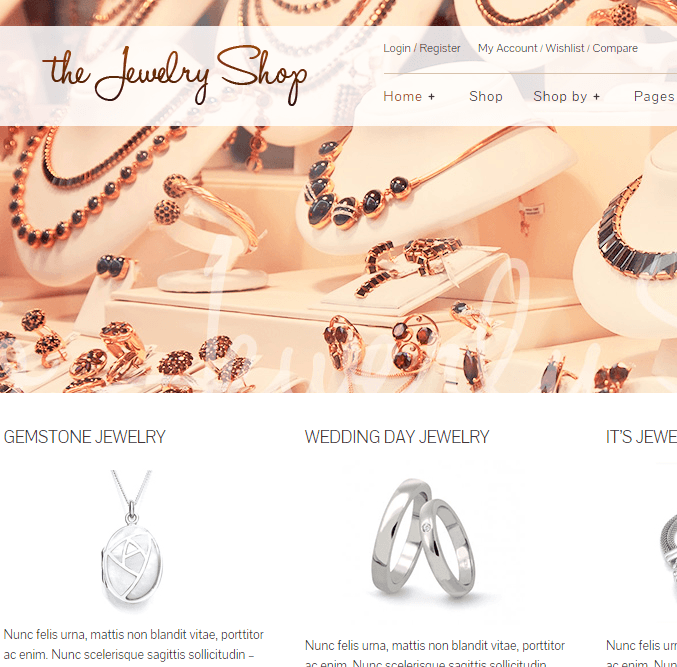 The menu design, product page design, shop page designs and the page builder has added so many features in this theme. Great work!